Strabismus describes misalignment of the eyes, including eyes that drift outward or inward. Strabismus can affect infants, children, and adults. Expert care for strabismus is available at Rocky Mountain Eye Center in Missoula, Hamilton, Butte, and Helena, Montana. Appropriate treatment can correct strabismus and restore visual acuity. Schedule an appointment today for you or your child by calling the office of your choice or booking your visit online. Normally, both of your eyes look in the same direction at the same object at the same time. With strabismus, one eye looks at the object you’re viewing, while the other points in a different direction. This can create double or blurry vision and may cause problems with learning and development in children. Strabismus may be constant, occur intermittently, always affect the same eye, or alternate between the right and left eyes. A wide variety of underlying issues can cause strabismus. It may be linked to problems with the eye muscles or the nerves that send information to those muscles. Sometimes the control center in the brain that directs eye movements is at fault. Uncorrected visual acuity issues, stroke, or a head injury also increases your risk of developing strabismus. Accommodative esotropia, for instance, is often due to uncorrected farsightedness. Individuals with accommodative esotropia may have problems with double vision, and they may close or cover one eye when doing close work or may tilt their head to better focus on an object. For young children, the pediatric ophthalmologist and strabismus specialist at Rocky Mountain Eye Center, Todd Murdock, MD, uses kid-friendly testing methods to accommodate your child’s level of understanding. 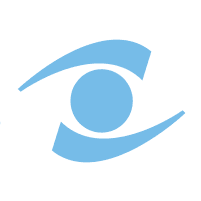 Call Rocky Mountain Eye Center to schedule a strabismus evaluation today or book your visit online.